Time, weather, wear and improper installations can all lead to the need for repair work. Of these, weather is probably the biggest culprit. Changing temperatures as the seasons go by bring about expansion on contraction. Then there is rain, which slowly erodes just about everything it touches. Over the years, these elements inevitably wear down masonry applications, such as concrete sidewalks, chimney coatings, walkways and retaining walls. Poor craftsmanship will only increase the inevitability of these issues. Lawrence A. Worthington Concrete Specialist, LLC has been serving the Doylestown and greater Bucks County areas since 2005 with all types of repair services for stone, concrete, stucco and other types of masonry applications. Outdoor BBQs and entertainment areas. Our experts can take a look at your project and see if a repair can be made before a full replacement is considered. In many cases, the repairs can be made, saving the customer hundreds if not thousands of dollars in time and material. 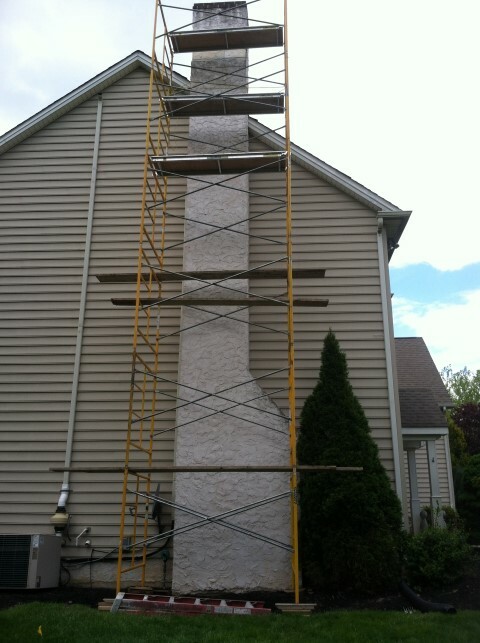 Making repairs in an effective and timely manner can be critical to your home or business, especially if conditions have become unsafe, such as a deteriorated sidewalk or a crumbling chimney. Additionally, if you have been told that a full replacement is required by another company, give us a call. While we can’t guarantee we can save you money, we can offer our opinion and help determine if a repair makes more sense. Need a free estimate on a project? Contact us today to get started.